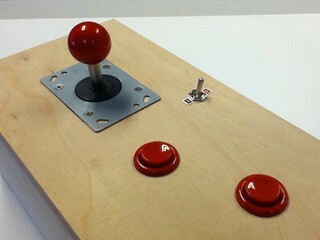 Monday, we finally got the joystick and buttons in the mail. I’m really happy with the look and feel of the joystick and arcade buttons. One of the four directions wasn’t clicking every time, so I did a little joystick surgery. It is satisfying to be able to take apart a component with a few screws then immediately see how it works and how to fix it. Here is the first control box. We still need to do the wiring inside. 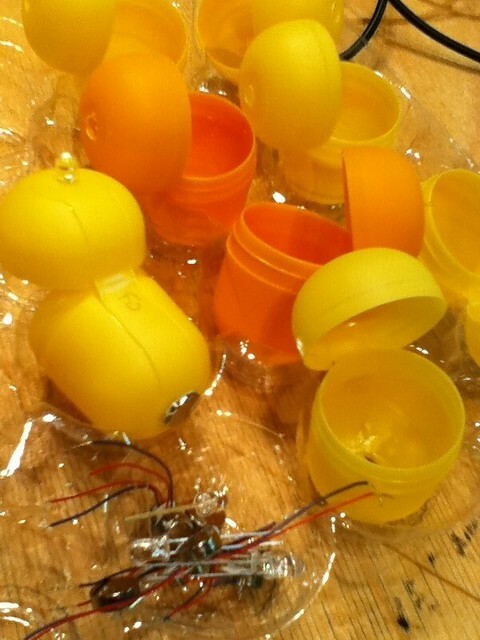 Thanks to the other class members who helped me get these plastic eggs out of their chocolate packaging. 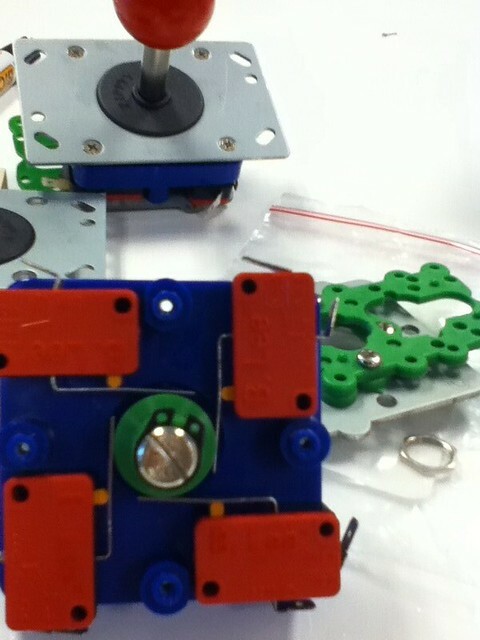 Each of these will be a vibration/light module to give directional impulses to the dancer. This entry was posted in Dancer control and tagged arcade, button, Impulse/Control, joystick, kindersorpresa by Forrest Oliphant. Bookmark the permalink. the control box is looking very nice. did you decide to embroider the actual wearable? there are also often some quite nice pre-fab embroidered patches and woven ribbons if you can sift through all the teddy bears and roses at the sewing shops.